Mascots from two of Leicestershire’s major sporting teams have gone head-to-head in a fitness challenge. The city’s first Walking Sports Festival has been launched by the Leicester Changing Cities team at the Morningside Arena. Women across Leicester are being encouraged to join forces and get active in a bid to improve their health. Are you stumped for new ways to get fit? More Walking Cricket sessions are set for February to push the boundaries of fitness in older people. Attendees at a major diabetes meeting welcome the work carried out by the Leicester Changing Diabetes team. Leicester’s approach to tackling the growing type 2 diabetes epidemic was shared at a major London conference. Members of the Leicester Changing Diabetes have been sharing all they learnt from a recent trip in Houston. The Leicester Changing Diabetes team screened nearly 200 city people for type 2 diabetes, as part of a major awareness campaign. The Leicester Changing Diabetes programme was highly commended at the Diabetes Professional Care conference. A professional cyclist team will be visiting Leicester to promote the benefits of physical activity ahead of World Diabetes Day. Professor Melanie Davies CBE has been named among the top 10 of the world’s leading experts into type 2 diabetes. An 80-year-old from Leicester has shown it is never too late to start exercising after taking part in Walking Cricket. The Ride Leicester festival has been nominated in the Favourite Free Festival category at the Hospitality & Tourism Awards. Leicestershire health campaigners hope a new version of cricket will bowl over those looking for a fun way of getting fit. The Leicester Changing Diabetes team attended a Kings Fund Event where they spoke about the plans they have for the programme. 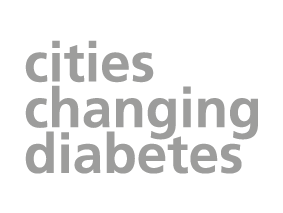 Rome has unveiled some of the work it has been carrying out as part of the Cities Changing Diabetes (CCD) programme at a recent conference. A Leicester team member has made vital "collaborative links" after attending a recent Global Academic Network (GAN) meeting for CCD members. The weekly update from the Changing Cities Director Steffan Nielsen, who has the latest news on what is going on within the programme.